Lavallette’s borough council reorganized Monday night – and held its meeting “back at home” on Grand Central Avenue for the first time since Superstorm Sandy struck in 2012. 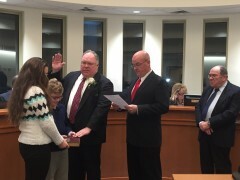 “It was a little bittersweet knowing what we needed to go through, the catastrophe we endured in Sandy, to get us to this place,” said Councilman James G. Borowski, who was sworn in to his fifth term on council before the meeting began. The new municipal complex is bright and fresh, complete with the smell of new carpets throughout. An elevator brings guests up to the council chambers, which doubles as a municipal courtroom, on the second floor. The dais is set against a window and below a magnificent cathedral ceiling that – during the summer – will allow light to shine through to the proceedings. Microphones will make hearing meetings easier for members of the community, while the seating arrangements are more comfortable than the council’s temporary digs at the First Aid Squad building down the street. Filippone, according to her colleagues, put in countless hours of work on the new municipal building, and continues to serve on the borough’s Memorabilia Committee, which is tasked with turning the building’s interior into an inviting and engaging space, with a nod to the town’s history. The committee has four projects underway, including work on a historic montage of Lavallette’s history that will adorn the council chambers. A public quilt will be displayed on the building’s first floor, with the help of a local builder who is donating his time to help create the display, and other exhibits on the USS Lavallette and aspects of the borough’s nautical heritage. There will also be a metal sculpture of a historical nature eventually added to the building, though Filippone said its subject will not be revealed before it is debuted. “We’ve had two sculptors propose ideas to us, and it should be magnificent,” she said. 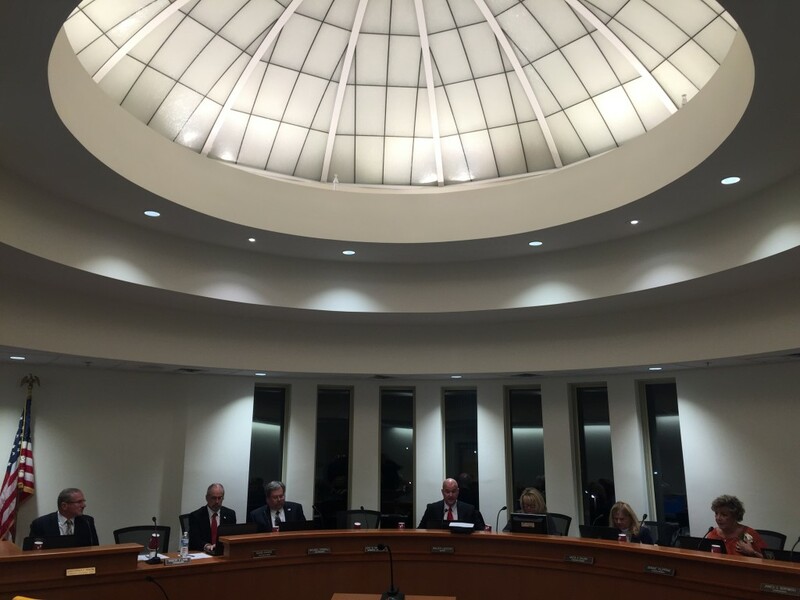 Following the swearing in of the two re-elected council members, the meeting agenda was relatively light in nature, consisting primarily of reorganizational motions and appointments. 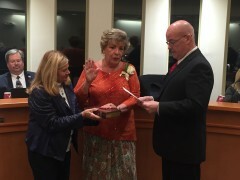 There were few changes in personnel from years past, the most notable change being the appointment of Bonnie Peterson as borough prosecutor, replacing Kim Pascarella. (Pascarella did not wish to continue in the role.) But for both officials and residents in attendance, there was a feeling that something special had occurred – both a symbolic and concrete step in putting Sandy in the proverbial rearview mirror.